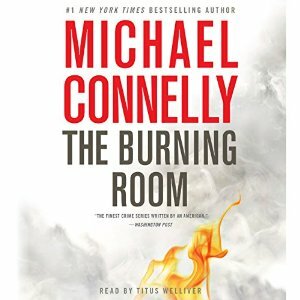 I suspected I wasn’t going to be all that happy with the newest Harry Bosch novel – the reviews were mixed and I don’t like the narrator’s’ deep, deep voice. But I’ve kept up with and mostly enjoyed the tales of Michael Connelly for many years, so now is not the time to quit. Anyway – this time we have a newly dead man who was the victim of a shooting occurring over 10 years ago – the poor guy just finally died of blood poisoning from the gunshot. Fortunately, there is surveillance footage of the crime scene – a Latino nightclub – which Bosch and his new partner, a rookie named Lucia Soto, check that out carefully. Bosch is not too sure about Soto. She seems to be hiding information and, oddly enough, the shooting had something to do with a fire which affected Soto’s old neighborhood and friends. And there are anonymous phone calls tips. Meanwhile, Bosch’s daughter continues to grow up, is getting ready for college and doing well while Bosch is between women so that leaves the bulk of the book to crime-solving. I came late to this series and am slowly working my way through it – up to Echo Park. 🙂 I started about 6 or 7 years ago and my first Harry Bosch was in the middle of the series. I caught up from the beginning except I think I missed a couple early ones. The last few should be read in order.